When you’re considering lighting for your bathroom, your first inclination may be that it doesn’t need much more than an overhead light. In reality, while lighting in the bathroom is often overlooked, mixing and matching your light sources can make the room feel more comfortable and useful. Fortunately, LED lighting makes it easier than ever to mix and match your bathroom lights while still maintaining an eco-friendly lifestyle in San Jose. Here are some tips for finding the right blend of lighting for your bathroom. Bathrooms with the best lighting have multiple sources of light that can be layered in different ways for different effects. You need task, ambient, accent, and decorative lighting to get the most from your bathroom. These kinds of lighting can work together for functional reasons or be used to separately to achieve different effects. By layering the light, you have a variety of options to create the right look and feel for your bathroom at any time. In the bathroom, you’re likely to spend considerable time looking in the mirror with tasks like putting on makeup, fixing your hair, and shaving. Shouldn’t the lighting be as flattering as possible? Task lighting, which should be placed near the sink and mirror and be spaced so that it doesn’t cast shadows, is necessary for functionality but isn’t necessarily the most flattering. Couple your task lighting with ambient lighting to soften the glow of task lighting so the mirror becomes your friend rather than a foe. Your bathroom should sometimes be a place you can escape to for a soak in the tub or long shower. Decorative lighting and accent lighting can highlight the features you want to show off in your bathroom without creating a bright glare that infers with your relaxation. 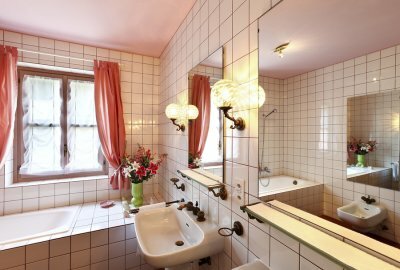 Soft lighting is also ideal for using the bathroom in the middle of night. Lighting plays an important role in setting the mood for the way you want to use your bathroom. Outdoor lighting is both beautiful and functional, and thanks to LED lighting solutions, it is more eco-friendly than ever before. In fact, outdoor lighting can now be comfortably part of your commitment to green living, alongside your other eco-friendly lights. 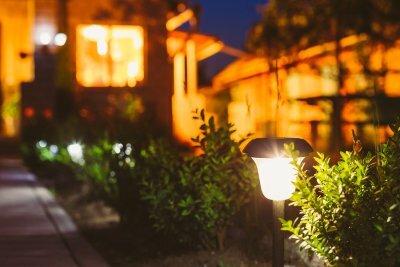 If you’re on the fence about installing outdoor LED lighting in San Jose , here are some of the benefits to keep in mind as you make your decision. Outdoor lights increase safety in a number of ways. Because they can illuminate walkways, they help to reduce the risk of falls that occur as people navigate areas in the dark. If you have an outdoor kitchen or pool, lighting makes it safer to use these things after dark. Outdoor lighting also makes your home look occupied, so that intruders who are targeting empty homes are discouraged from choosing your property. Motion-detecting outdoor lights will switch on if someone comes on your property, which further discourages trespassing and criminal activity. More and more homeowners are embracing the idea that living doesn’t have to be restricted to the interior of your house. Elaborate patios, outdoor kitchens, pools, hot tubs, and even outdoor dens with television screens and music all give you more livable space in your home. These areas become much easier and enjoyable to use with outdoor lighting. Outdoor lighting increases the functionality of these spaces and makes them more comfortable. Outdoor lighting plays a dramatic role in curb appeal. You can choose to place lighting in certain areas to spotlight different parts of your landscaping or pull attention to a specific part of the design of your home. Using warm lights outside makes your home look inviting and welcoming, compared to a dark house that can look empty and unattractive. If you are trying to sell your home, outdoor lighting can be helpful in making your house stand out from the rest and look like the kind of place buyers can imagine coming home to. Start with your living spaces. You should make sure that all of the most-used rooms in your home are fully illuminated. This will probably include all bedrooms, bathrooms, hallways, stairways, and the kitchen. Even if you don’t use them frequently, however, you should make sure that areas such as attics and garages have bright, adequate lighting. It’s equally important to make sure that outdoor areas such as porches have the proper amount of illumination. Make sure that the lights are placed so that they will keep steps visible, and also make sure that gates and other entryways are easy to see at night. One of the best ways to ensure that seniors are safe in their homes is to purchase motion-sensitive lighting. This means that lights will automatically switch on whenever a person walks into the room, without any need to flip a switch. This helps to ensure that accidents don’t happen as a result of forgetfulness or difficulty using light switches as a result of stiff muscles. Make sure the lights are bright enough. It won’t do any good to have lights in every room if they aren’t bright enough to illuminate your way. If any of your lights are starting to fade, make sure to replace the bulbs right away. Better yet, use LED lights, which provide better illumination and are also more long-lasting than traditional lights. A chandelier can make a stunning statement in your home’s interior design. If you are gearing up to install new, eco-friendly lights throughout your home, talk to your LED lighting specialists in San Jose about the possibility of installing a brand-new chandelier . Not only will an LED chandelier help you save energy, but this light fixture can also serve as a central focal point for your room. 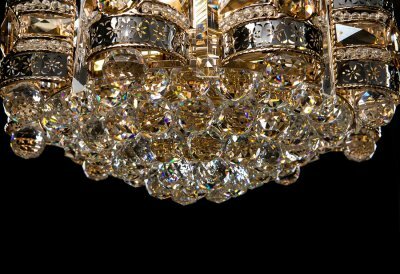 When you are shopping for and installing a new chandelier, be sure to keep following the do’s and don’ts of chandelier selection and placement in mind. Do: Choose a chandelier that is properly sized. As you are picking out a brand new chandelier for your home, you will want to ensure that you select a fixture that is the right size for your space. An oversized chandelier will overwhelm your interior design aesthetic, whereas a fixture that is too small may look out of place in the room. To calculate the ideal dimensions for your chandelier, you should find a fixture that has a diameter that is about 1/12 th the square footage of the room. Don’t: Place your chandelier too close to a wall or window. Once you have found a chandelier that is the right size for your room, your next task will be to find the ideal spot for installation. 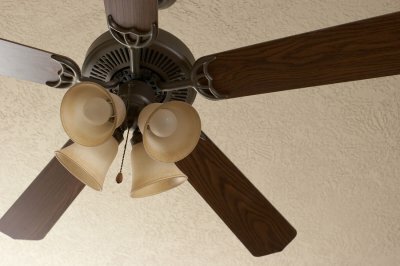 If your chandelier is installed so that it touches a wall or window, it may throw the design of your room off balance. Ideally, your chandelier should be no closer than 4 feet from any adjacent walls. Do: Hang your chandelier at a safe height. Whether your home has high, vaulted ceilings or is lower in profile, you will need to adjust the length of your chandelier with care. A chandelier that is installed in the middle of a room should be high enough so that you and your family members can walk underneath the fixture with ease. When you are installing a chandelier over a dining room table, make sure that your fixture is at least 3 feet from the surface of the tabletop. Your fireplace is a central feature of your living space. As you are working with a fireplace contractor in San Jose to create a new electric fireplace for your home, you will need to consider your choice of mantel carefully. By building a mantel that pairs well with the rest of your interior décor, you will be able to create an attractive addition to your living room or den. To assist you with your upcoming fireplace installation, here are some tips for choosing a mantel that matches your home. 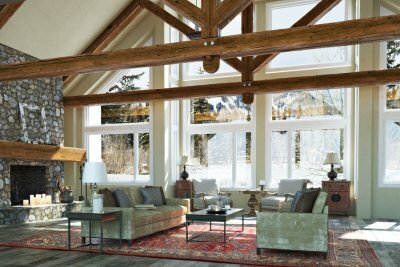 While traditional fireplace mantels are crafted from brick or stone, many modern units feature mantels that have been built out of modern materials. Brushed steel, for instance, is a terrific choice for a modern fireplace design. When you choose sleek metallic materials for your mantel installation, you will provide your fireplace with a streamlined and contemporary silhouette. If your home already has a more modern style, metals or other industrial materials may be the right choice for your mantel. If you are not ready to go fully contemporary with your mantel installation, you may want to consider more traditional designs for your fireplace. Brick and stone are both classic materials for mantel installations. An experienced fireplace contractor will be able to build you a customized stone mantel that matches the architecture and design sensibility of your living space. To make sure that your mantel matches the design of your living space, you may want to gain some inspiration from the furnishings that you currently have in your home. If your furniture features certain colors or patterns, these decorative elements can be mirrored in your mantel design. You can even mix and match materials and colors on your mantel so that your fireplace creates the perfect reflection of your interior design sensibility. A fireplace contractor can help you build the fully customized mantel that you have always wanted. LED lighting has transformed the way that we illuminate our homes. If you are curious about the process that goes into the making of LED bulbs, watch this video. In order to create LED lights, a team of technicians must carefully make a set of proper lighting chips. Once the chips have been energized, they can be placed into LED light bulbs. A company that offers LED lighting in San Jose can help you pick out the best light fixtures for your home. If you are interested in making the switch to LED lighting in your home, now is a great time to schedule your installation. 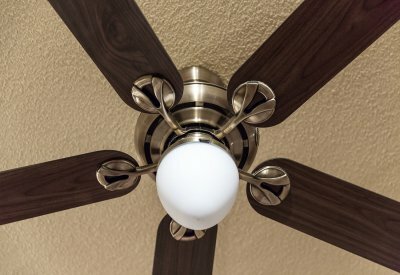 When you replace your conventional light bulbs with LED lights, you can enhance the energy efficiency and overall style of your home’s lighting design. There is a good reason why some people are LED lighting specialists in San Jose, and it’s always wise to take their advice. Not everyone knows how to choose eco-friendly lights or pick the most efficient LED bulbs, so don’t hesitate to ask the professionals any questions you might have. Consider the aesthetics already present in your house, but don’t overlook functionality. Try diversifying your lighting so you can create different types of environments in the same space, and keep reading about the mistakes that you should avoid when choosing your lighting. You might fall in love with one of the first lighting fixtures you see when you enter the showroom, but you should consider what that fixture will look like inside your space before you make the purchase. If you come across LED lighting that leaves a lasting impression, think about how it would look hanging in the middle of the room or above your mantel. Some people make hasty decisions and end up realizing that the eco-friendly lights they loved in the showroom don’t fit the design they have put together for their homes. Always keep the context of your home’s design in mind when choosing an LED lighting fixture. You need some kind of lighting to go about your life after dark, but some people end up getting caught up in aesthetics rather than thinking about functionality. While it’s great to find a lighting fixture that fits right in with your interior or exterior design, you should find one that also provides the right amount of lighting for function and safety. Eco-friendly lights can save you money on your energy bills while offering something new to your aesthetic design. When there are so many different types of LED lighting out there, there’s no reason to stick to only one kind. Try to mix different types of lighting into your design scheme. Too much overhead lighting can be overwhelming at times, and it’s not as versatile as choosing a handful of different types of LED lights. If you want to be productive in your home office, your LED lighting in San Jose can make a significant difference . You’ll have all kinds of options to choose from in terms of lighting fixtures, and you can even experiment with different placements. Watch this video for help getting the lighting right in your home office. Lighting can have a real impact on the atmosphere of your space. If you want to make the most of your home office, you should put some thought into the lighting. When it comes to task lighting, it’s important to think about how you can reduce the glare. You can do this by focusing on the angle of your lights. It helps to have lights to your left and your right, crossing their beams and illuminating your work surface, as this will reduce the risk of glare and protect your eyes.